Published: Nov. 26, 2018 at 04:01 a.m. 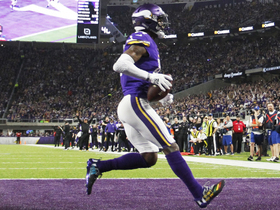 Updated: Nov. 26, 2018 at 10:42 a.m.
MINNEAPOLIS -- Stefon Diggs was making his promotional rounds at the Super Bowl last February when he bumped into Kirk Cousins on radio row. The two had never spoken before, but Diggs was eager to make an impression. He knew his Vikings were likely to have a vacancy at quarterback in the offseason, and Cousins was considered the top free agent after three strong seasons as the starter in Washington. The players exchanged small talk, then Diggs got to the point. "I'm a huge fan of yours," the wideout said. "You're a hell of a player. We're going to talk again." Later that night, they ran into each other at another promotional event. There was more small talk, then Diggs got back to the point. "I told him, 'If you can, this would be a good place for you, with the tools we have,' " he said. "I knew we were thinking about signing a quarterback at that time, and I said, 'I want you.' "
A month later, Diggs got his wish. And Sunday night, after a week of outsiders questioning whether the Vikings had made a mistake in signing Cousins to an $84 million, fully guaranteed contract, the charismatic and personable receiver could not have been more proud as Cousins bounced back from a poor outing the previous week in Chicago to lead the Vikings to a critical 24-17 victory over the Packers at U.S. Bank Stadium. "You know how the media is," Diggs said afterward. "When you're playing great, they build you up; and if things happen, they're going to tear you down. But we've got 100 percent faith in the guy. He has proven why he's as good as we say he is. We're behind him all the way. As far as putting people to hush, he doesn't really focus on that. He's focused on doing his job the best way that he can, and tonight he did that." Cousins, who was 0-3 in prime time this season and 4-12 lifetime beneath the bright lights before Sunday evening, completed 29 of 38 passes for 342 yards and three touchdowns. He had no turnovers and a 129.5 passer rating. 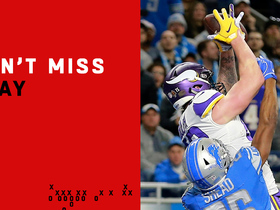 He was everything the Vikings (6-4-1) had hoped for when they made him the highest-paid player in the league at that time, and yet the reality is that the performance didn't answer questions as much as it tabled them. Such is life in the NFL, where legacies seemingly are written from week to week. To many, Cousins is viewed as having just enough talent to win division titles but not enough talent to win championships. He is 5-22 all time against teams with .500 records or better. That's a reality that's not wiped away by a flawless performance against the struggling Packers, no matter how many times his teammates come to his defense. 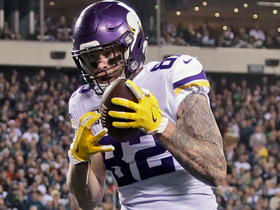 "Rightfully so, in this league, a lot of pressure gets put on quarterbacks, but it's not always their fault," tight end Kyle Rudolph said. "Tonight, we made plays for him. Last week, we didn't do anything to help him. It's not right if you just point the finger at him and say, 'Oh, he can't win in prime time or beat good teams.' We have to go out and make plays for him. He can't do it by himself." While true, the evaluation of NFL quarterbacks is rarely fair. And Cousins, a man of strong faith, is the first to accept and acknowledge the biblical passage which states: "For unto whomsoever much is given, of him shall be much required." 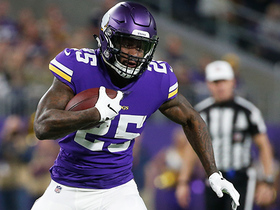 The Vikings did not sign him simply to beat the likes of the 49ers, Eagles, Cardinals, Jets, Lions and Packers, each of whom has a losing record this season. They signed him to go at least one step farther in the playoffs than they did last season, when they lost in the NFC Championship Game and let starting QB Case Keenum leave in free agency. There is nothing that says Cousins won't fulfill that mandate, but it was clear the heat was turned up during last week, particularly as it relates to ball security. Offensive coordinator John DeFilippo preached the importance of playing with patience while at the same time playing with urgency after Cousins threw two head-scratching interceptions a week ago in a 25-20 loss at Chicago, with one being returned for a touchdown. In a shocking loss to Buffalo early in the year, he threw an interception and fumbled three times, losing two. Entering Sunday, Cousins had committed eight fumbles (losing six) and been intercepted seven times. "It's become very clear to me that turnovers really tell the story in this league," Cousins said. "... Coach Flip did emphasize that when you hold the football in your hands, you hold the livelihoods of a lot of people in that building and their families. It has to matter to us. As one coach told me many times, 'Ball security is job security -- yours and mine -- so it's very important to take care of it.' "
There were moments Sunday when you could almost see those words influencing Cousins' play. He wanted to drive the ball downfield, but rather than take a chance, he held onto it or took the checkdown. That was more than enough against a depleted Packers secondary, but will it be enough the next two weeks at New England (8-3) and at Seattle (6-5)? The inability to answer those questions is why Sunday night bought Cousins a reprieve instead of universal respect. He will be judged by January results against winning teams, not November wins over sub-.500 clubs. Only then will we learn whether he has a firm grasp on playing with patience and urgency. "That's one of the challenges of playing this position," Cousins said. "You try to let the game come to you, you try to make good decisions and manage the game and not put your team in harm's way. But at the same time, you want to be a quarterback who's explosive and who is able to fit it into tight windows and avoid sacks. Finding that balance is what makes playing the position challenging. The longer I play, the longer I can store away experiences and use them for the next challenge that's up ahead." With Cousins, the next challenge is always just a game away.